Rejuvenate, energise and let your body relax with a classic Moroccan bath that includes: black soap, white powder, use of a scrubbing loofa, steam bath and salon special combination of natural ingredients and herbs depending on various skin types. Just breathe… ahhh… with 84% off! 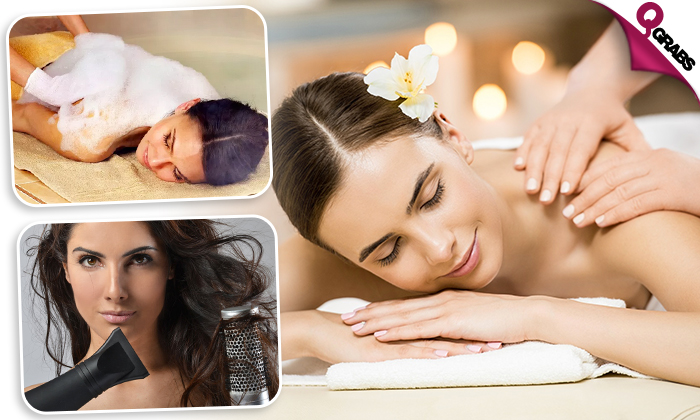 Miss Moon Beauty Salon & Spa prides itself on the diverse and experienced staff who work with tools and materials from internationally recognised brands to give you a relaxing experience. Miss Moon Salon also provides at-home services.